In an effort to increase sales, Playtex offered a fun, valuable on-pack incentive to their customers. 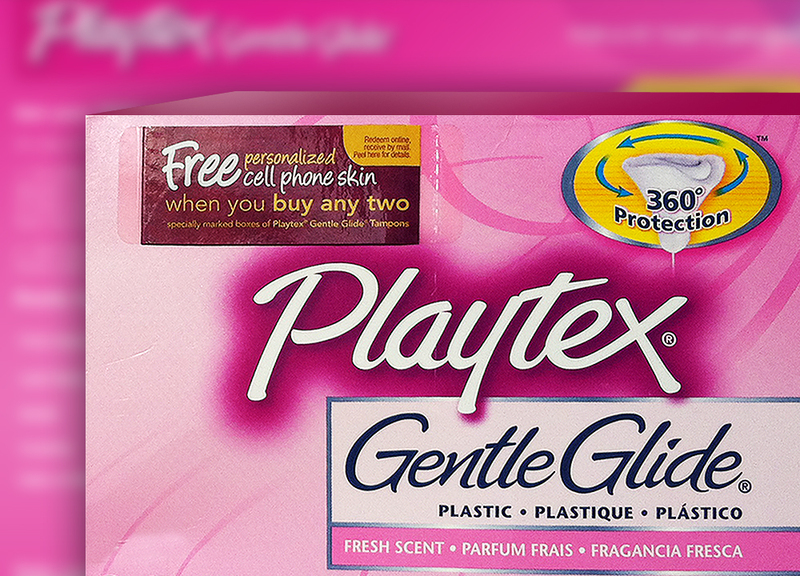 Every consumer who purchased two boxes of Playtex Gentle Glide Tampons was entitled to a free customizable cell phone skin. Each specially marked box included a sticker affixed to the front of the package issuing a special reward code. Once consumers collected two codes, they were eligible to redeem their free personalized skin. For customers who only purchased one box, they were rewarded with a code good for $3 off a purchase of a cell phone skin. 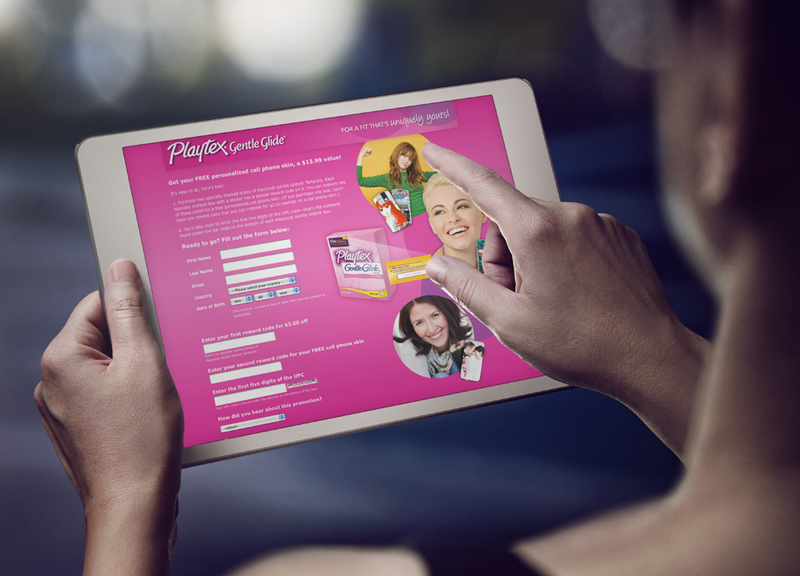 While redeeming their reward, consumers were able to interact with the Playtex brand, and sign up to receive future promotional offers. Through this valuable on-pack incentive, Playtex was able to successfully interact with their customers, while offering a relevant and cool reward.